Replacing windows on residential properties is a practical way to improve energy efficiency, aesthetic appeal and interior comfort. Good windows provide better protection and make it easier to clean. It is important to determine when to replace the fixtures. Fortunately, window installation contractors can help check the windows to ensure they are still operating properly. Some of the signs the frame seals and hardware need replacing include difficulty opening or closing, cracks, difficulty cleaning, presence of moisture on the glass surface and the presence of a draft close to the window. Some of the benefits of replacement windows include noise reduction, improved energy efficiency and more. Annealed glass is heated beyond the transition point before being cooled to make it stronger. As a result, the glass boasts superior thermal stress resistance and wind load performance thanks to its surface strength. These characteristics are vital in the majority of architectural applications. 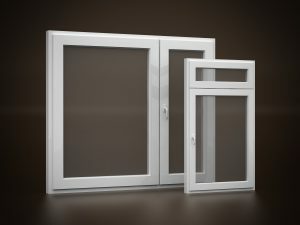 This type of window is well suited to areas of high wind loads and thermal stress. Curved annealed glass is typically installed on storefronts and display counters, which do not require safety glass. Building codes restrict the installation of this type of glass in locations where there is significant risk of breakage and injury. Some of the restricted areas include fire exits, indoor panels and bathrooms. The surface strength of tempered glass is four times stronger when compared to ordinary or annealed glass. Tempered variants do no shatter into jagged shards but rather into small, harmless pieces. This makes it ideal for use in glass shower enclosures, entrance doors, microwave ovens and automobile windows. Manufacturers determine whether the glass is high-quality by checking how the glass breaks. Any imperfections detected in the tempering process result in the discarding of the glass. Imperfections have been shown to cause breakage. 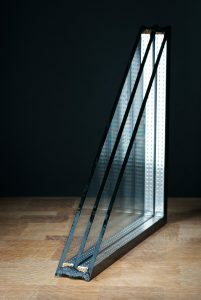 The glass is ideal for use on glass doors or fixtures that are located within 24 inches of a door. Aluminum windows have been proven to achieve significant improvements in heat loss and heat gain. They are also known for providing superior energy efficiency benefits. The use of these types of windows allows homeowners to reduce their carbon footprint. Energy savings also outweigh the energy input associated with the initial stages by more than 100 times. The savings can reach up to 300 times for residential properties that need cooling in hot climates. The same applies to homes with electrical heating. Aluminum is resistant to environmental factors that lead to weathering, thus provides low maintenance costs. This type of material does not swell, warp, crack or split due to environmental conditions. Although aluminum can be painted and anodized, the material still works well in its finished condition. PVC windows provide the best energy efficiency and cost ratio benefits. Window frames help improve energy efficiency by enhancing thermal insulation. Consulting with a window supplier allows homeowners to choose the best choice for their window replacement. PVC is a better option when compared to materials like wood and aluminum. 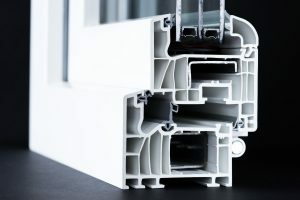 New building code requirements for energy efficiency are forcing the building industry, including manufacturers, retailers and consumers, to use PVC windows. Homeowners can choose the ideal plastic windows from three basic variants: PVC, polycarbonate and acrylic. Polycarbonate is stronger than acrylic and glass but it comes at a higher price. The material is also transparent. Polyvinyl chloride (PVC) plastic provides better insulation against sound and heat. In addition, it is termite-proof and does not require any painting. Manufacturers use low-e coatings to reduce the amount of infrared and ultra-violet (UV) rays capable of passing through the window. The approach does not undermine the window’s capacity to filter visible light. Insulated glass is characterized by the joining of two panes of glass to form a single unit. It is typically sealed at the edges to minimize air-to-air heat transfer. On the other hand, dual pane (argon filled) variants have a sealed unit that contains gas, which helps boost energy efficiency. By choosing thicker glass for the interior window pane, sound can be greatly reduced. Call for an appointment to visit our Phoenix window showroom and discuss your options with a window professional. Discussing your options with an expert is the best way to ensure the fit, finish, performance and budget constraints.